Supplying essential ground support equipment for aircraft at a smaller airport is important for safety and scheduling purposes. Deciding which equipment to use depends on the volume of aircraft on a daily basis, as well as the resources for energy and staff on hand. When choosing GSE to have on hand, here are a few things to take into consideration during a search. Having an aircraft ground power unit with easy mobility and efficient power can be a game changer in a small airport operation. This equipment is used to service aircraft between flights or for maintenance by supplying power. These units can be stationary or mobile, but are often more useful when designed to travel on the jetway from aircraft to aircraft. 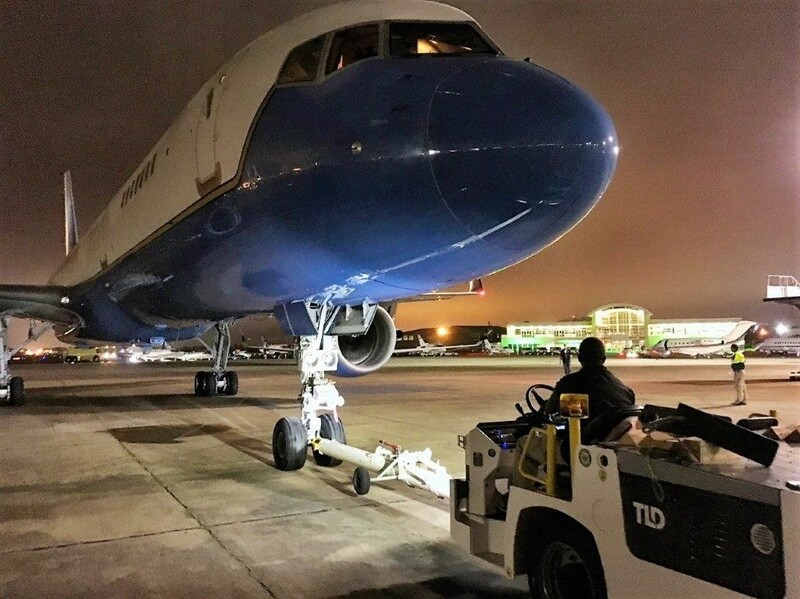 Having a few baggage loaders and lifts as part of your aviation GSE fleet can make turnaround times faster and increase accuracy depending on crew size and traffic volume. Belt loaders are the most common vehicles for loading baggage and cargo, especially for narrow-body aircraft. Used to push the aircraft away from the gate when it is ready to leave, aircraft tugs and tractors can also be used for ground transportation and aircraft storage. Tractors such as the TLD TMX-50 can safely tow business jest, helicopters, military airframes, and the full spectrum of regional and narrow-body airline aircraft. All-wheel drive and all-weather systems might be the better option for small airports or smaller aviation operations that experience extreme weather or distinct four seasons. Look for GSE designed with durable, rugged features that are meant to withstand snow, ice, rainfall, wind, and other conditions. Dedicated to quality and customer service, all AERO Specialties sales and support staff possess extensive knowledge of aircraft handling and maintenance. AERO Specialties specializes in GSE related to Baggage and Cargo Handling, Intercom Systems, Hydraulic Fluid services, Aircraft Tug, Aircraft Lighting and more. They offer such parts as Towbar and Towbar Head Ball Lock Pins, Shear Pins, Oxygen Charge Adapters, Nitrogen Service Adapters, Ground Power Unit Cables, and many more parts to support your equipment fleet.